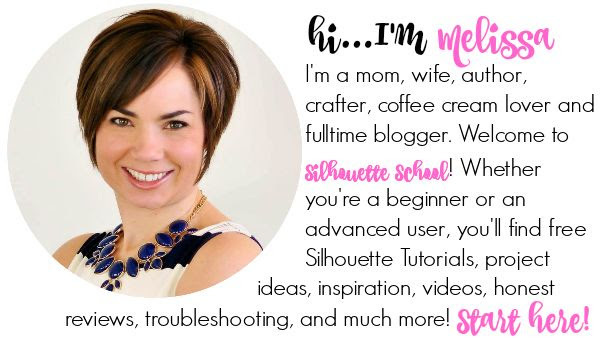 The questions surrounding Silhouette Studio Designer Edition are many...but the two biggest are is it worth the price and what is so different from the standard software that comes with the Silhouette machines? Today we're going to delve into designer edition - not so much about how to use it - but more about what it includes and why users benefit from it and the expanded tools and options it provides. 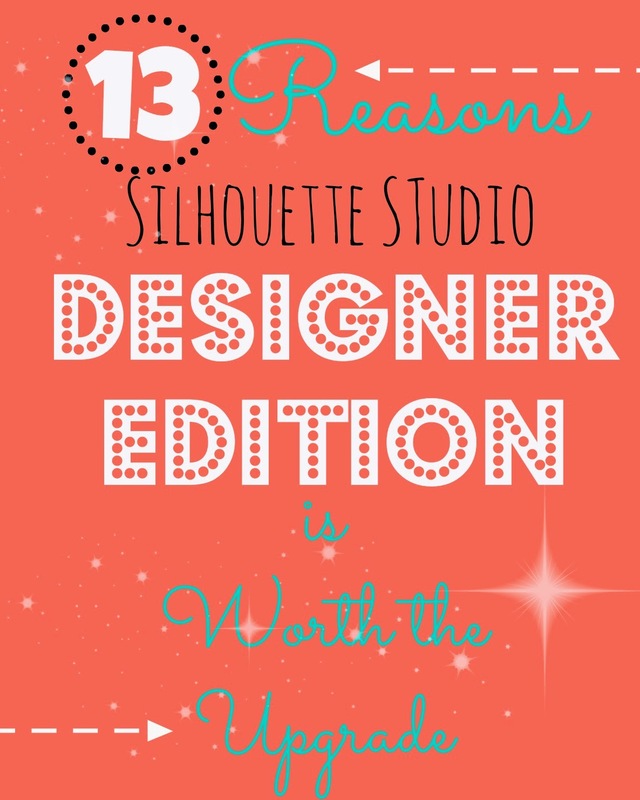 First of all to upgrading to Silhouette's Designer Edition is NOT the same as upgrading from Studio V2 to Version 3. 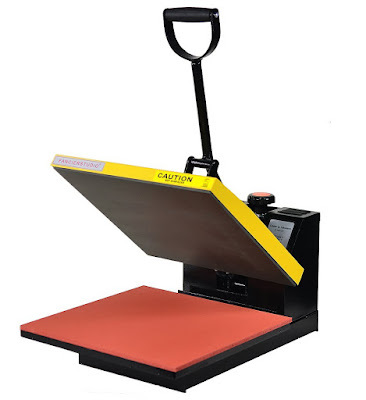 The V2 to V3 upgrade is a free upgrade that you can download from the Silhouette America website to get the new software. Upgrading to Designer Edition actually gives you more functions - but at a cost. The retail price is listed at $49.99, but you can often find the DE download cards on Amazon for around $32....recently we had a deal alert when the Designer Edition card dropped to $25! If you cashed in then, but are now wondering "what the heck do I do?" we're here to help...or maybe you're wondering if it's worth spending the extra cash to get the added features. Hopefully today we'll help you decide if DE is something that would benefit you creatively. Once you purchase the Silhouette Designer Edition Upgrade card, follow the directions on the back to get the license. Then when you open studio it will automatically be the Designer Edition. You'll notice a few new icons along your tool bar...each of which we'll look at closely below. Throughout, I'm going to use a basic chevron shape to show and share some of the features of Silhouette Designer Edition. Designer Edition offers a wide range of sketch pen options that are not available with the standard software. Plus, there are ways to fill in a sketch design to make it look like pencil, charcoal, scribble and so on. One of the biggest draws to Designer Edition has to be the Rhinestone feature. With the click of a button you can turn any design into a rhinestone design. This is not possible with the standard software. Rhinestones come in various sizes and the DE feature lets you easily manipulate the size and layout of the rhinestones patterns. An offset is nice, but did you ever want to put a true shadow behind your text? There's a tool for that in DE. The eraser tool options are off the chart with Designer Edition. Forget the single circle eraser, you can pick the shape and size of the eraser and actually use it to create cool designs and patterns. Plus, you can manipulate the eraser so the design stays open or becomes a closed shape which gives you twice as many design options. Similar to the eraser tool, the knife tool is hugely expanded in Designer Edition. Instead of a just a single straight line cut like in the standard version, the options are endless in DE. Here are just a few ways you can use the knife tool. I highly suggest you check out Kay at Clever Someday's very in depth article on becoming a (DE) Knife Tool Ninja! We're not done with manipulation tools yet...the shear tool lets you move designs to all different angles either vertically or horizontally. 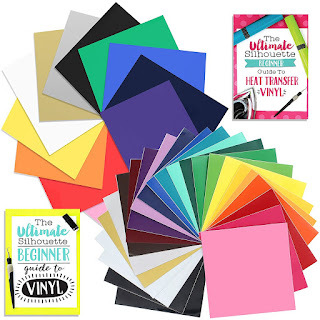 Have a design that's filled with various colors and now you want to group or rearrange them for easy cutting? Well, just select by fill color or line color in one click. 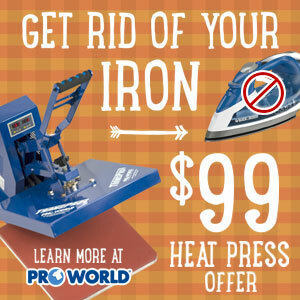 Very handy..and a big time saver! One of the most helpful tools in Designer Edition is the improved rulers and grid. Turning on the grid you can change the size of the boxes to get a more exact measurement of your design. And instead of just the 1" square box, you're able to break those boxes down into quarters and eighths and smaller or larger. The ruler tool gives you an exact measurement...can you see that darker grayed area along the top ruler bar? That's showing me the exact size of my entire design...it's much more precise than the ruler in the standard Studio software. Another time saver is the Transfer Properties tool...you have one shape filled with a color or pattern and you want to have another shape or piece filled with the exact same color or pattern. All you do is click on the Transfer Properties button and highlight the shape and then use the eyedropper to click on the property you want duplicated. Donezo! And finally, perhaps the biggest benefit is that Designer Edition allows users to import SVG files. 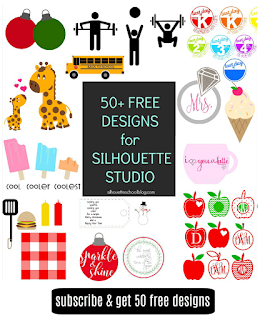 Many designers sell and offer SVG files, but without DE they can't be used by Silhouette Studio users. So what do you think? 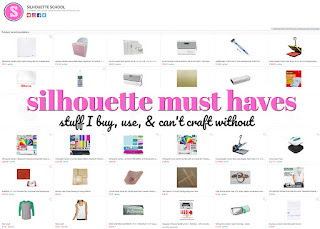 Will the added functions and design options in Silhouette Designer Edition benefit you and your crafting? I have corel draw when I have my laser engraving/scrapbooking die cut business. I haven't been able to import the files from it, and have saved them as svg. png. jpg etc. So I should be able to import them as an svg file from my corel draw if I upgrade to the DE correct? Thank you. What is difference between buying the card and digital please? I am presuming a physical card or and email with a licence code? Wow, Melissa, amazing post as usual. That nesting tip is a game changer!! I had no idea that existed, and now I am pretty sure I'll be using that feature every day from now until eternity :-) I thought filling my page was the coolest feature...until now! LOL Thank you for always writing such useful stuff! Maybe you can help me with the nesting tool. Whenever I try to use it it makes my shapes overlap. I don't know where I'm going wrong. I always end up having to manually complete this task and this was something I was excited about with DE. Thanks for this post! I've been on the fence about whether or not I wanted to upgrade to the DE version of Studio because I wasn't sure it was worth the $50 price Silhouette charges for it on their website. This post helped make that decision much easier because I never knew Amazon had it for half the price! Between their $25 price right now and the points I had from my Amazon credit card, I was able to pick it up for only $9 which made it a complete no-brainer! Woo Hoo! I picked up your sticker eBook a couple of weeks ago, so I love the fact I'll now be able to import PDF files with the DE software since many of the sticker sheets I've found online (both freebies and in Etsy shops) are in PDF format. Thanks for all you do in helping us get the most from our machines! I haven't upgraded yet and I'm seeing the option to select by color already with the free version of Silhouette Studio. FYI! Can someone please explain to walk me threw this....My silhouette wont let me connect to the store when I first open it up ...also it keeps saying not responding ans shutting down all the time in the middle of a design. then I try to sign back in and it ask me if I would like to do a recovery of my file??? Very frustrating to deal with!!! 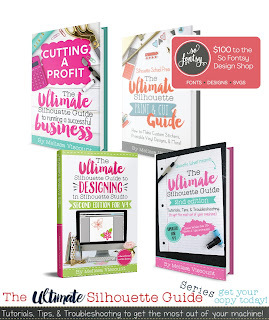 Now I just purchased the Designer upgrade and I'm nervous that something else will be wrong. I just wish I could have someone teach me one on one or hold a class near me. :) so that I could use this machine to its potential. Sorry I'm ranting. But I'm frustrated because I have been waiting a while to get my machine and now Its hit or miss when I can use it or I loose my designs. grrrrr. I just thought it would be easier to learn the silhouette than my Cricut. I guess I just like to be taught class style. Is there a traveling teach that goes around to teach? If so where n Maine? Thank you for listening to me rant on. I have upgraded to the DE. Since I have done so, I have had issues with dragging an object using the cursor to change the size or to move it to a different spot on the grid. I have restarted and shut down, and still can't seem to figure out why it moves so skippy. I would love to know if anyone else has this issue, and if so, how did they fix it?? could you possibly have the "snap to grid" box checked? Excellent post. Keep sharing such a useful post. Hi Melissa, I purchased the designer addition last night and installed it, but now it doesn't recognize my USB. EEK! But I turned everything off and restarted. Hope that has fixed it. 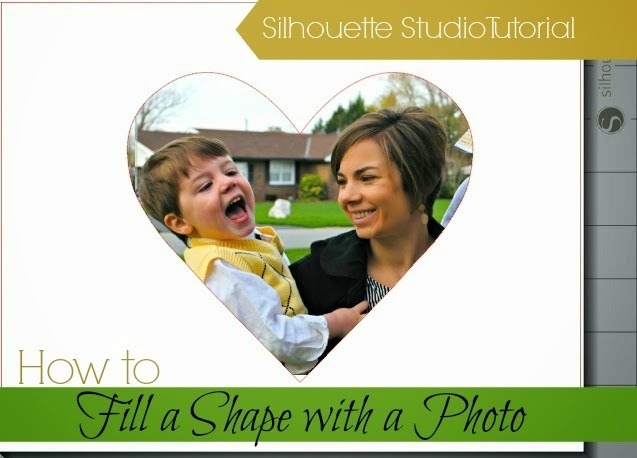 My original question was about editing and adjusting files that I buy from Silhouette Design store. I Think it is unfair for Silhouette to remove a feature that was availabe in version prior to V.4. I am referring to removing SVG cutting unless you pay to upgrade. What kind business decision was that? You don't even have the capability to go back to a previous version. This reminds me of the stuff Provocraft pulled which pushed me to The Silhouette. I am extremely disappointed. I have a lot of money invested in two machines, bags and your great instruction books.